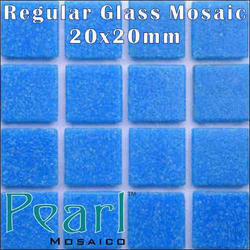 Our Pearl Mosaico brand of Glass Mosaics Tiles are great looking and durable with resistant to many weather conditions and are not confined to just indoor use our collection features ideas for gorgeous spas, bathroom, Kitchen, Swimming Pool and more. 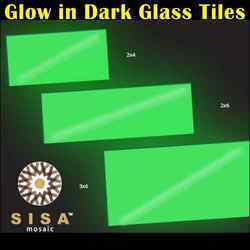 We are dedicatedly engaged in manufacturing a commendable range of Glow in Dark Glass Tiles. Made of glass, safest material, outstanding environmental protection material. Dust-proof, the color will never fade out. Compressive strength, tensile strength, high temperature resistant, 0% water absorption. House - bathroom, kitchen, swimming pool, living room, etc. Project - club, bar, hotel, movie theater, etc. 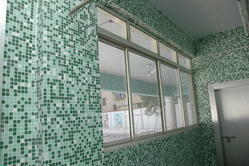 We at Specific Glass Mosaic have a wide variety of Glass Mosaic Bathroom Tiles. Matchless in beauty & quality, our Glass Mosaic Bathroom Tiles are known for their flawless finishing and designing standards. 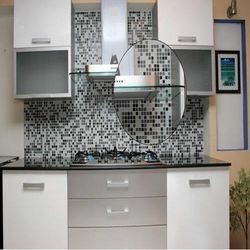 We offer these Glass Mosaic Bathroom Tiles at the most competitive prices and can also get them customized as per the specifications of the clients. Transform your bathroom into a beautifully stylish retreat with the help of our range of stunning bathroom mosaic tiles. With so many options to temp you, both traditional and modern, we are sure to have the perfect mosaic to create your dream bathroom. 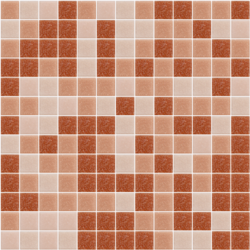 We at Specific Glass Mosaic sister concern of Dubond Products India offering Glass Mosaic Tiles for Exterior one of the leading manufacturer of wide variety of Glass Mosaic Exterior Tiles. Matchless in beauty & quality, our Glass Mosaic Exterior Tiles are known for their flawless finishing and designing standards. 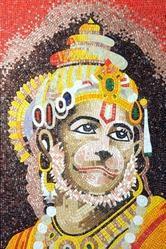 We offer these Glass Mosaic Exterior Tiles at the most competitive prices and can also get them customized as per the specifications of the clients. Prominent & Leading Manufacturer and Supplier from Ahmedabad, we offer Glass Mosaic Tiles for Fountains and Spas such as Glass Mosaic Tiles for Fountains, Glass Mosaic Tiles for Jacuzzi and Glass Mosaic Tiles for Spas. 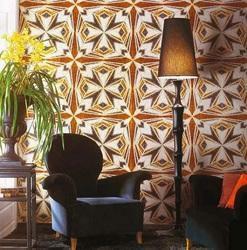 Gold and silver mosaics are ultimate expressions of lavishness. Surface show-face a remarkable collection of gold and silver. 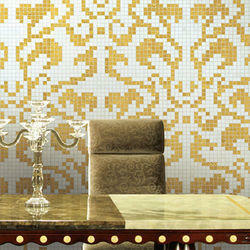 Create a luxurious features in your home and commercial spaces with gold and silver mosaic. We export our products all over the world. 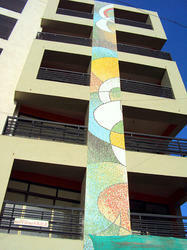 We deals in Specific Glass Mosaic Kitchen Tiles , which are known for their flawless finishing and designing standards. 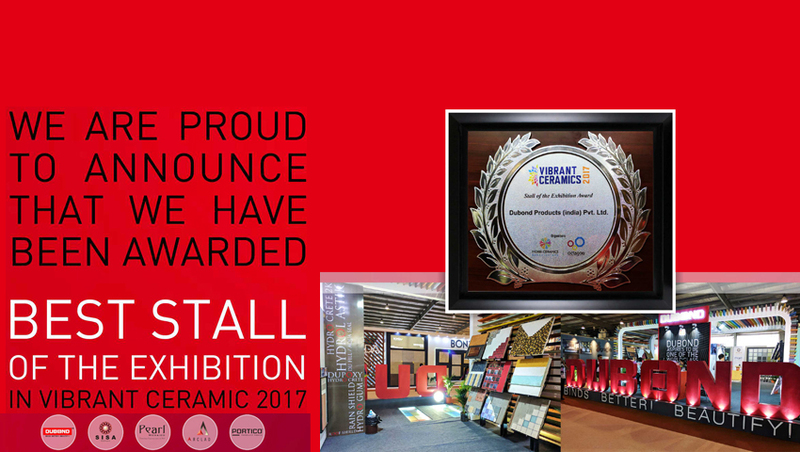 We take pleasure in introducing ourselves as one of the leading organizations, engaged in offering Glass Mosaic Random Mix Tiles. The offered Mural is well designed by our veterans using high grade Mosaics , in accordance with details information of customers. 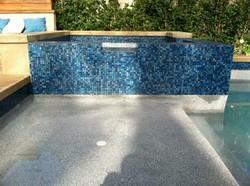 Glass Mosaic Tiles for Fountains:A garden with a Mosaic Tiles Water Fountain adds to its beauty and peace. 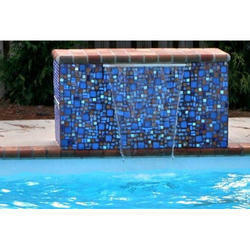 We are among the prominent Manufacturers and Suppliers of a broad range of Water Fountains Mosaic Tiles and Designs. 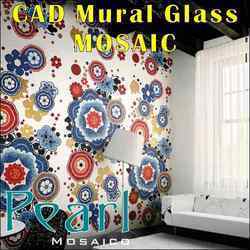 Glass Mosaic Tiles CAD Murals: we are leading manufacturer and supplier of glass mosaic Tiles for murals of different shapes and sizes. 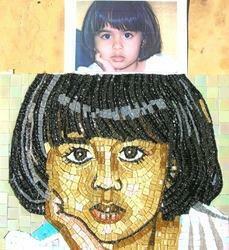 Master Hand Cut Mosaic Cute Girl: We created this colorful mosaic mural for our client’s cute Girl. It is comprised of thousands of tiny, hand-cut GLASS MOSAIC tiles.Start with a photo of something memorable to you or simply bring us your ideas and let our design experts bring them to life.